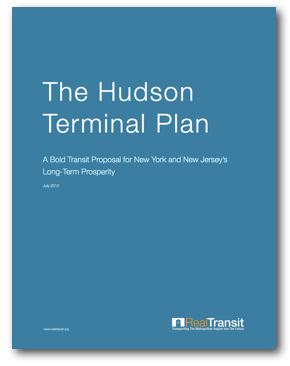 An alternative transit proposal put forth by the City of New York is the extension of the 7-Line Subway from Manhattan’s West Side to Secaucus, NJ. 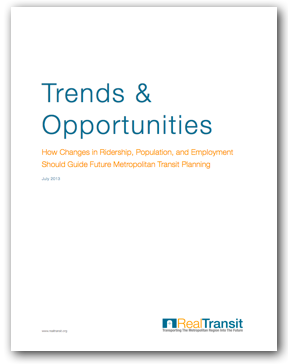 However, in April of 2012, former MTA Chairman Joseph J. Lhota announced that the plan was too costly to carry out. Preliminary estimates have put the 8.5 mile extension in the $10 billion price range with a completion year around 2020. 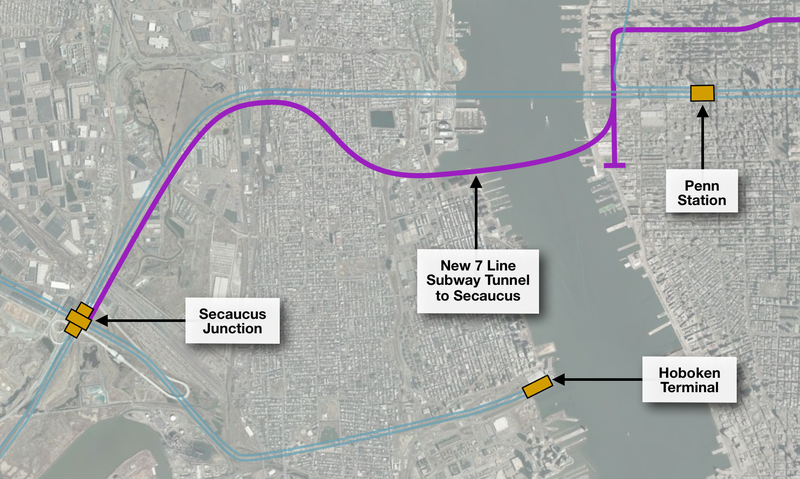 One of the reasons why the proposed extension of the 7-Line Subway to Secaucus has been largely ignored by government officials and the public alike is that it provides relatively little public benefit for its large costs. It would mainly aid NJ Transit commuters wishing to travel to Manhattan’s East Side by allowing them to transfer at Secaucus Junction. However, it is unclear whether such a transfer would even save commuters time since Penn Station already has access to two subway lines within one station of the 7-Line at Times Square. Further, the IND 6th Avenue Line’s 34th Street / Herald Square Station, which is one stop from Bryant Park, is only one block from Penn Station’s eastern exit points. The proposed extension of the 7-Line Subway to Secaucus would also do nothing to ease Penn Station’s capacity constraints, since the same number of daily trains would still travel to and from Penn Station. The only improvement would be a theoretical reduction in the number of passengers per train arriving into Penn Station. The extension of the 7-Line Subway to Secaucus also does nothing to spur real estate development in either New York or New Jersey. Secaucus Junction, as it stands now, is in an isolated, industrial marshland off of the New Jersey Turnpike. There are no residential or commercial developments in the immediate vicinity of the station and there are no plans to create such developments. 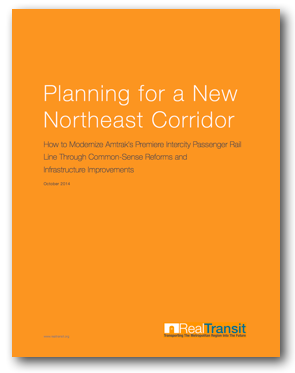 It is not surprising that this plan has been all but abandoned, as it would have been a white elephant in New York City’s mass transit system.